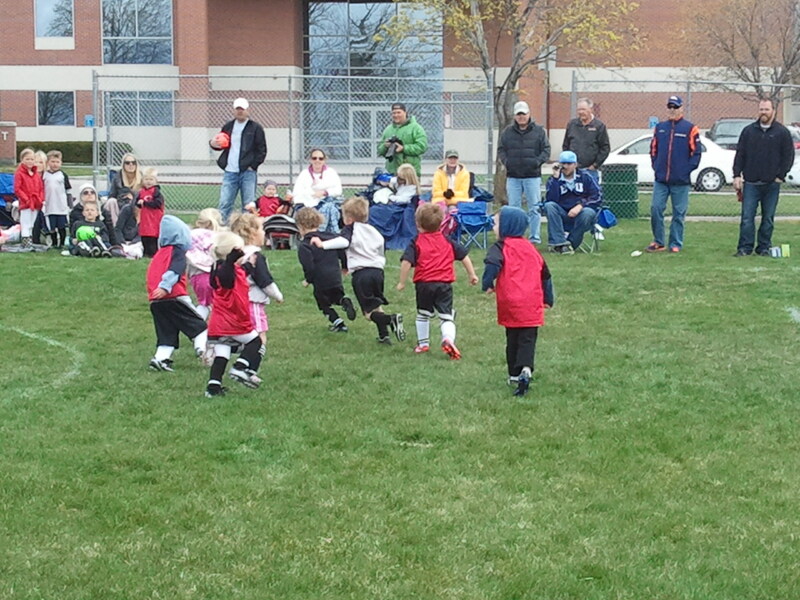 These pics are a couple weeks old, but I had to share Emmett’s first soccer experience with you. 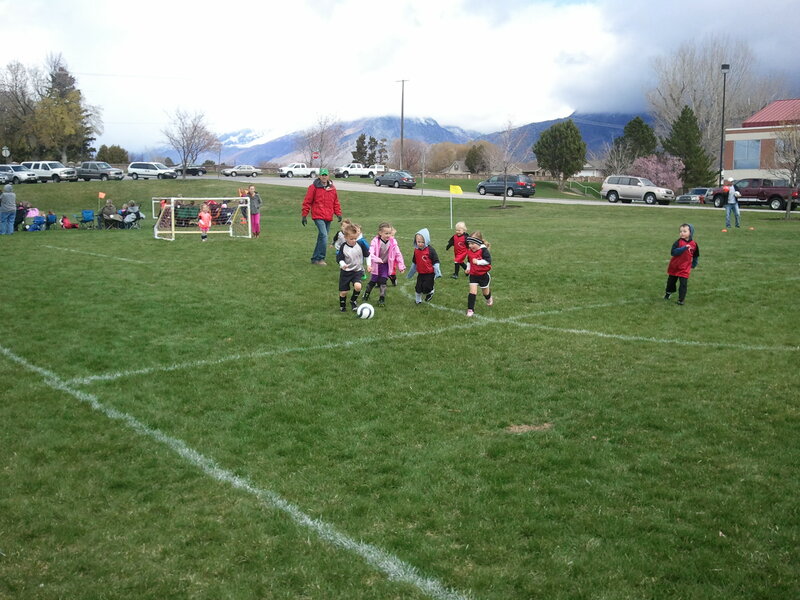 Emmett and I ventured to American Fork one Saturday morning during soccer season planning to cheer on Carter and Bailee in their soccer games. 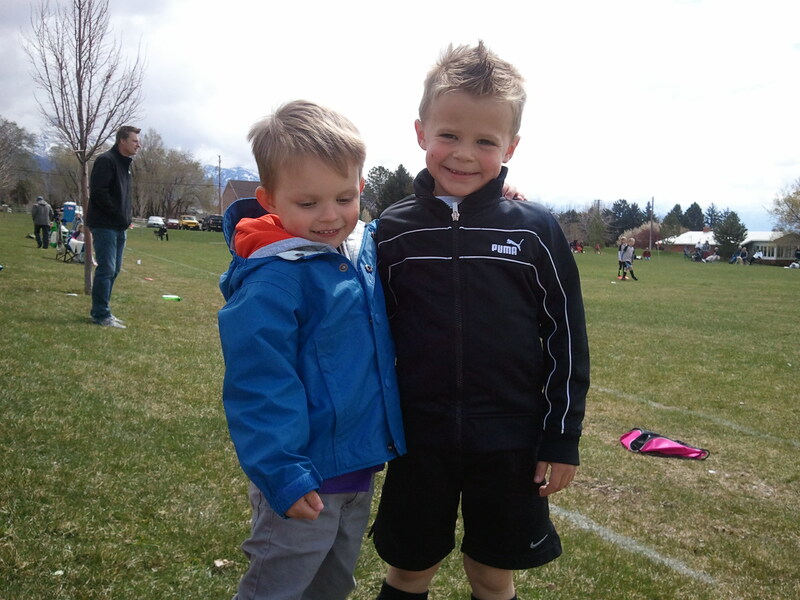 Once we got there, Emmett was invited to join his cousin’s team for the day because they were short a couple people. Truthfully, this was Emmett’s first exposure to the sport being played on his level. He jumped right in and loved it! Emmett and Carter are 18 months apart. They are best friends! Bunch Ball! This team is 3-5 year olds. Here’s Coach Pat showing them exactly what to do. He did a great job helping Emmett understand. I think he got more exercise than the kids! Look at Carter go! He scored a bunch of goals. His dad even put him back as goalie so the other team got a chance to be on offense. 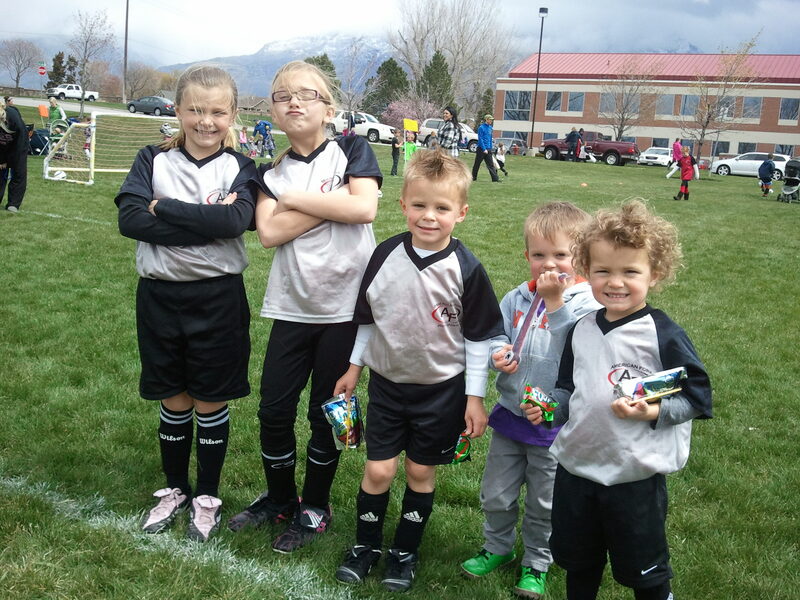 The soccer crew. Bailee, Addy, Carter, Emmett and Staten. Great job team! Pitt and I both played and love soccer. Emmett can play locally in the fall. We are very excited about that! 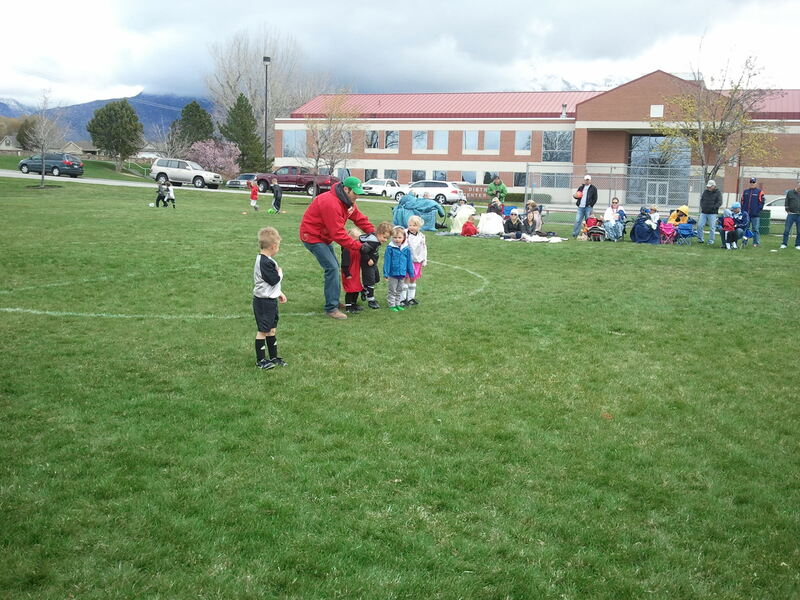 This entry was posted on Tuesday, May 28th, 2013 at 9:07 am	and tagged with family, soccer and posted in Uncategorized. You can follow any responses to this entry through the RSS 2.0 feed. « I am who I am. Am I?